One of the nicest gifts you can leave those close to you when you die is an estate that’s in good order. Building the Connection is a beneficial resource to assist you in planning for the future and providing for your loved ones. This book offers simple and clear ways to organize important information, so that you and your family can be prepared for whatever is to come. The forms range from medical and estate planning information to funeral and burial instructions. 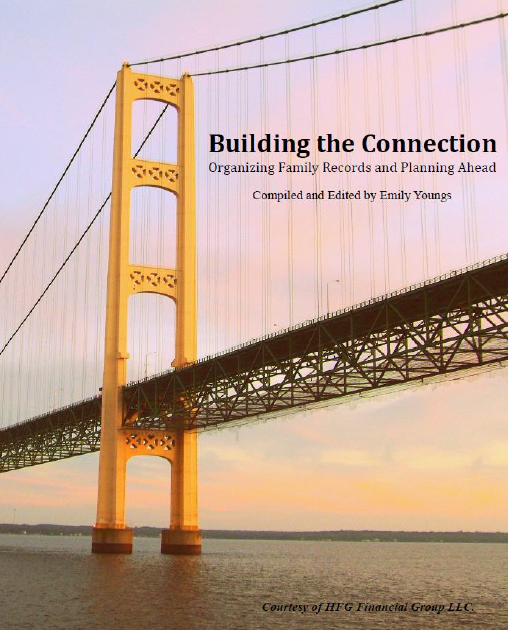 Building the Connection also provides you with the knowledge necessary to the estate planning process, so that you can efficiently organize your important information and get your affairs in order. West Michigan’s financial professionals offering tax and accounting services for the community. Our team of professionals allows us to provide an affordable and elevated level of tax, accounting, and financial service at significantly less cost than most large national chains.